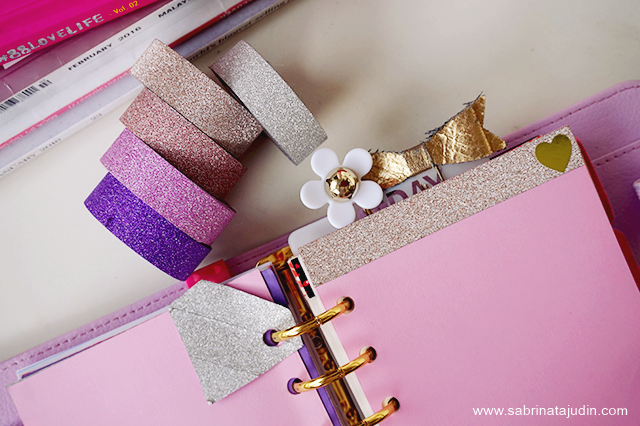 I thought of posting some stationary stuff today by featuring my most love Washi Tapes which is these glitter washi tapes I got last year from eBay. As you know I am an avid user of eBay. I love eBay as they usually have things we fin hard to find locally with great price deals. I got my glitter washi tapes from an eBay seller called rdavid9. From left to right, silver, champagne, rose gold, pink and purple. 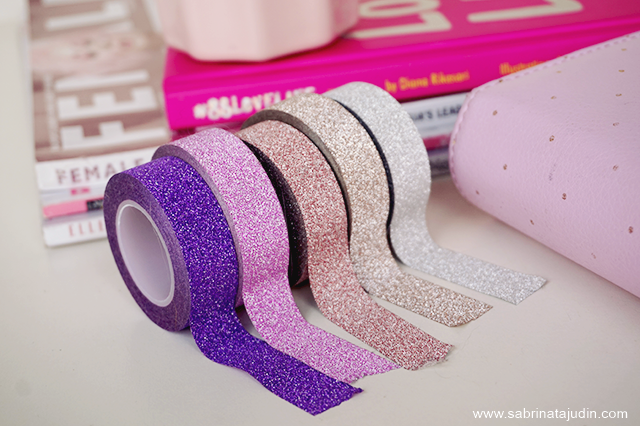 The listing was ended but you can look it up here by searching this keyword - Self Adhesive Glitter Washi Masking Tape . I think all of them are pretty much the same only from different seller. I got mine for only 0.99USD with Free International Shipping! Which makes them only retails around RM5-6 each. Please take note that Free Shipping usually takes 3-4 weeks to arrive. I hope you find this post helpful on how to get a more affordable washi tape that I have been loving. Trust me, these looks so nice in your planner/book! 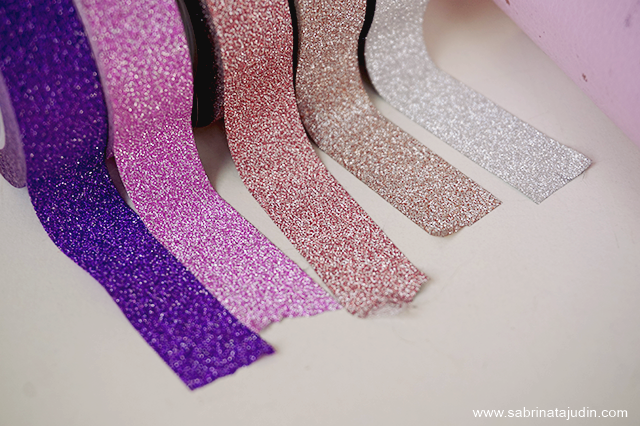 The glitter does not comes of, they stick on nicely and it adds a super pretty glam vibe to your crafts!Also from here you can also learn how to get more rare stuff that you have been searching for. hi dear, i'm so sorry as I cant sell it to you. anyway you can purchase stuff from ebay easily using paypal (that can link to debit card). search paypal in my blog and there is a post on how to register paypal using debit card.